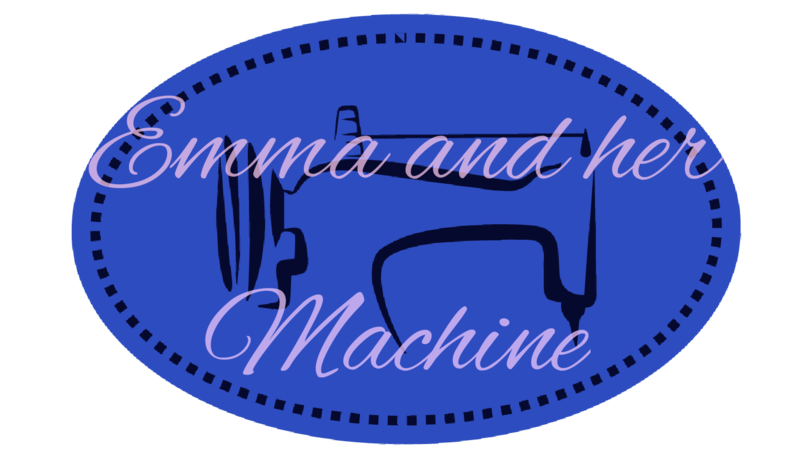 Valentine and Stitch are a new and upcoming, very reasonable PDF pattern company I have found through instagram, mainly through the Sleevefest challenge #sleevefest2017 which owner Helen and Diane of dream.cut.sew have ran this year. They have just brought out a new Cardigan pattern (perfect for the #cosycardichallange) so check it out. 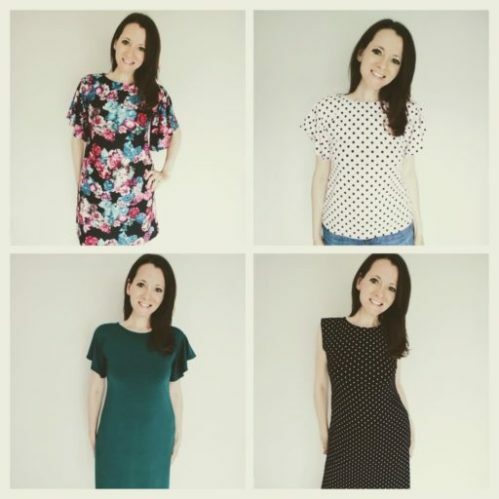 She does a couple of fantastic free patterns too like the Lotus but also the amazing Angelina pattern which definitely has sleeves to make an impact for Sleevefest; they are really full and make a real statement. There are several options, a dress or a top without sleeves or with shorter or three quarter length sleeves. 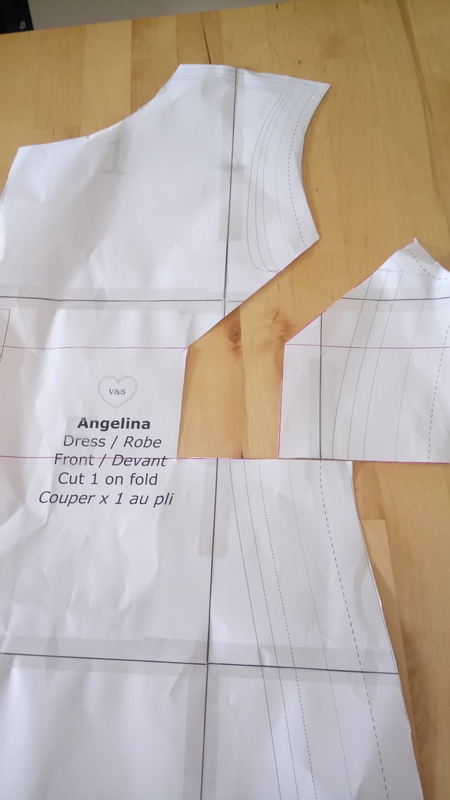 I mentioned on Instagram that I wasn’t sure about the Angelina as I wasn’t convinced about how a Full Bust Allowance (FBA) adaptation would work on a pattern for knit fabrics. I haven’t got a lot of experience with knits and whilst they stretch, which can allow for a bit of wiggle room, you don’t want it to stretch to that point where YOU (and everyone else for that matter) know it’s too small, especially across the bust. 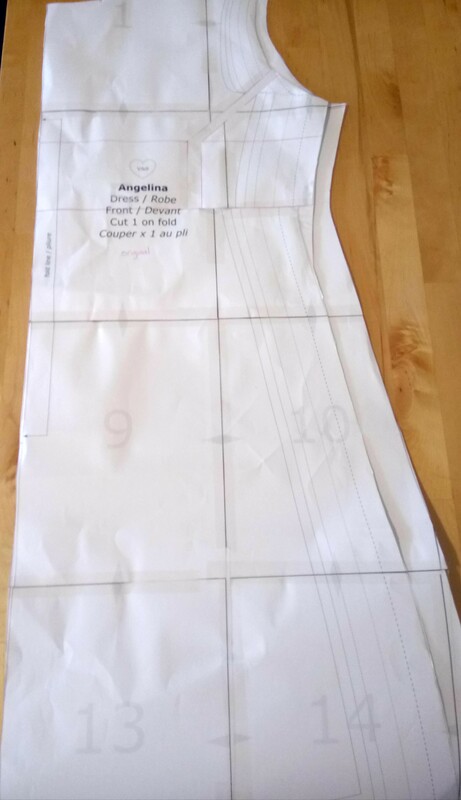 Anyway, the very lovely Helen got in touch and asked me if I would do a bit of an experiment to try my usual FBA on the original pattern for the Angelina and also send detailed measurements over for them to make me a personalised version. This was so that they could see how their sizes fit ‘real people’ like me and my somewhat larger chest (not showing off here, just a fact of my life!!) and to see if they can help us ladies to ‘cheat’ an FBA by giving sizes to grade up and down. Of course, I agreed! It’s so important to me that my clothes fit me properly so any excuse to get involved in that side of things is something I’m always up for. 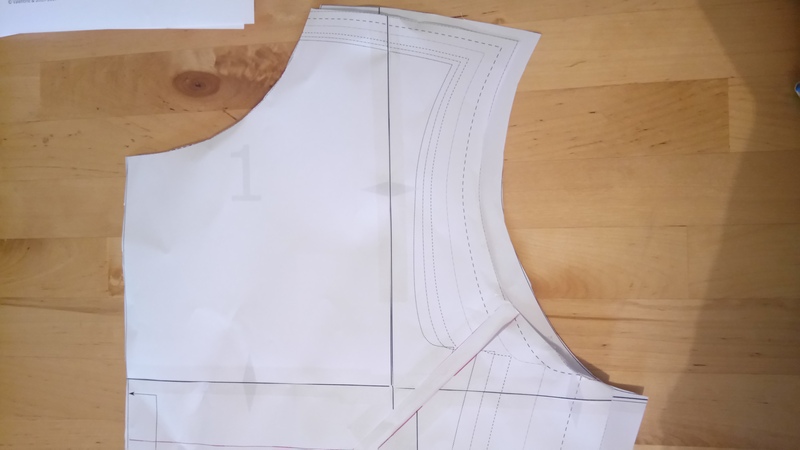 Anyone who isn’t in to fitting and pattern drafting might find this blog post a bit heavy on the technical/construction side. Sorry! Anyway, Helen and Rich (Helen’s right hand tech-man!) kindly sent me the original pattern which I used my usual FBA adaptation on. 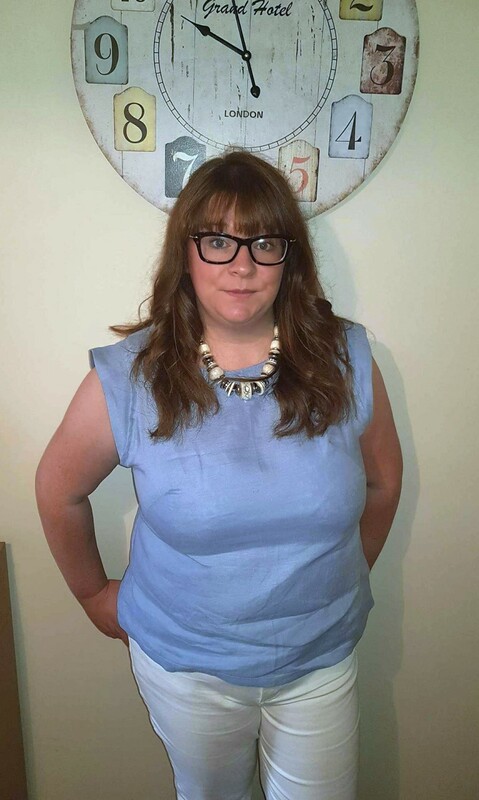 I follow a tutorial which came as an article within Sew Style, Stitch Your Size magazine, which I have because I featured in it! The magazine is aimed at getting the fit right so there are lots of tutorials. Although there are many tutorials and suggestions available for FBA, this is the one which works for me so I’ve stuck with it. 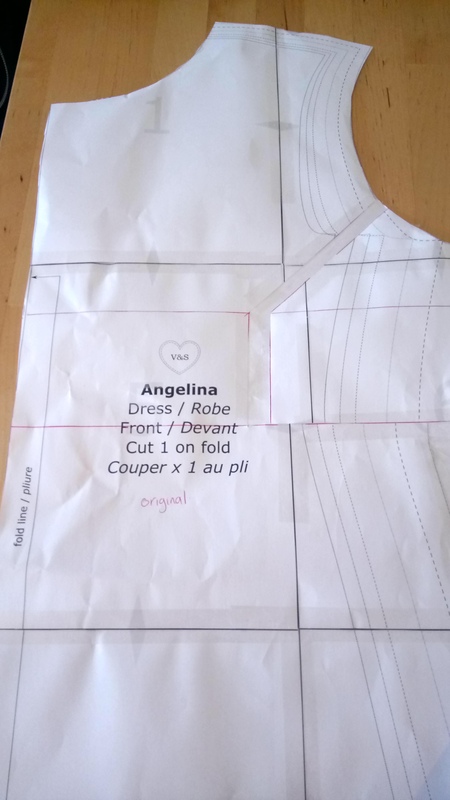 I did my FBA as usual and was pretty happy with it, I had managed to keep the subtle but necessary curve to the pattern and it looked pretty good. I cut the largest size which is an XL and closest to my measurements. This allowed me to get as close as I could to my waist measurement before adapting it. I sent very comprehensive measurements over to Rich which included my waist, hips and back measurements (cue the hubby for help!) this was obviously a long process for Rich and I’m really grateful. 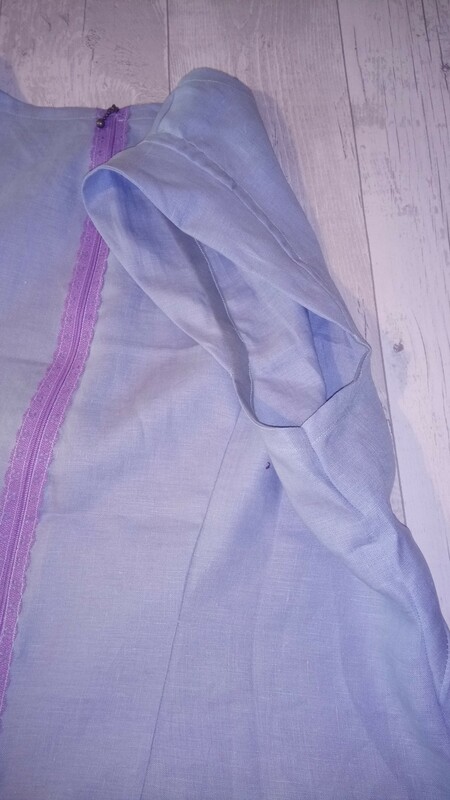 I then cut the version which Rich had made with my measurements and I found it to be very different. I hope that you can see in the pictures that there is a size difference between the original pattern which I adapted and the personalised pattern. The personlised pattern is obviously bigger, however, I was pleased to find that my adaptation curves in at the same place as the one made to my measurements (underneath). 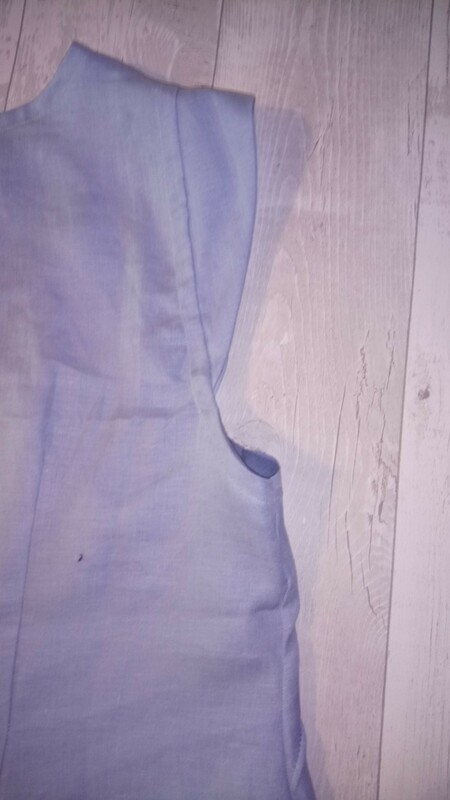 I was also pleased to see the curve of the arm hole was similar. I think it shows that the FBA works and that the pattern isn’t far from what I needed at all. 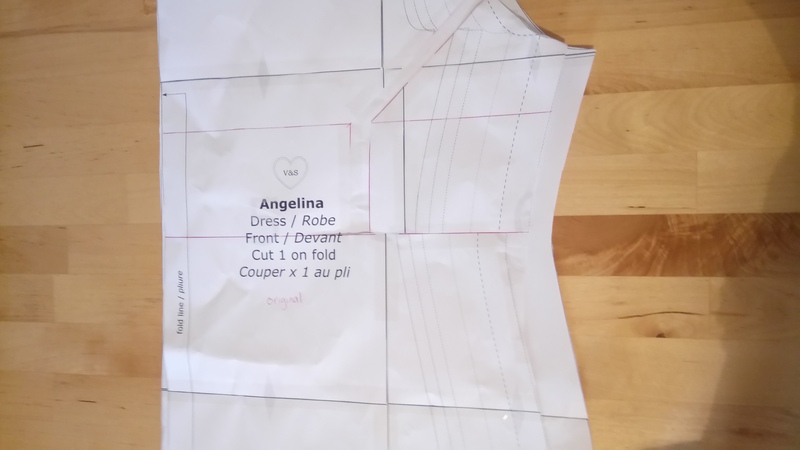 I did notice the the waistline is much higher up on the personalised version (probably due to giving all my back measurements and across my ribs) which is something that I probably lose by cutting the pattern width ways in order to do the adjustments. Although my adjustments have always worked for me previously, this has really made me think if I am getting the absolute best fit and I found this has been so useful to help me with that. I think I also need to consider the fit at the back, another massive positive of giving so many measurements to Rich was that I was able to see the difference that my larger chest makes there too. I think for knit patterns pieces like this, I need to add more to the back too so that the pieces meet right at the sides. I must work out how to do this! I learnt a lot about my fitting from doing this. In the meantime, I have a pattern which is prepared especially for me, which is awesome! I’m sure most pattern companies would love to offer this to us but it was clear that this is a very labour intensive process and not something which is easily done! However, I hope you agree that the fit of the personalised pattern is great, it doesn’t pull anywhere and it fits well all over. A massive thanks to Helen and Rich for allowing me to get involved in this and for putting so much time in. I love how much effort they are putting in to the fit of their patterns. It has allowed Helen to see that their standard sizes aren’t far away from mine (in my attempt to represent a curvy girl) in terms of placement and helped her to further research standard sizes so that she can also go up to 2XL with her next pattern draft which I know would cater for me and many others out there and would help with grading up for not only FBA but curvier hips or bums! The rest of the pattern was easy to construct and produces a cool and laid back style. 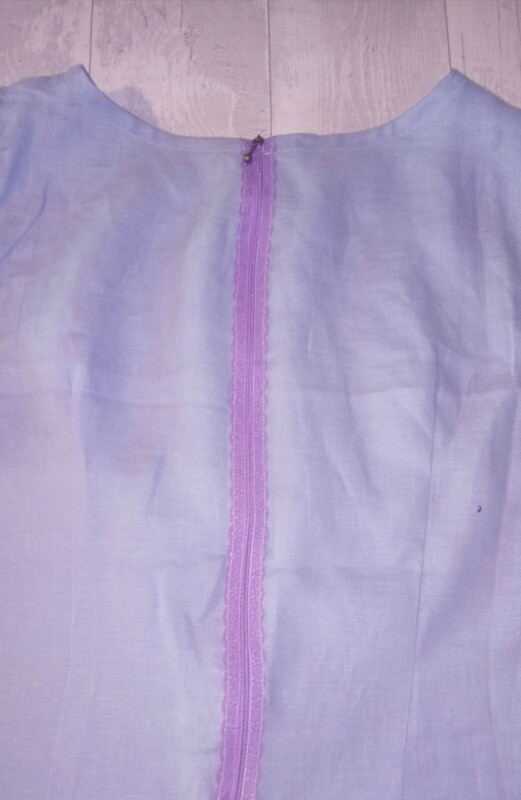 The sleeves are almost one big circle, which are easy to insert and I used my new overlocker to finish the hems. They give a really full and drapey shape. It makes it stand out from a plain Tee or dress. As a special treat for helping with this Helen is giving my readers 15% off the Angelina! 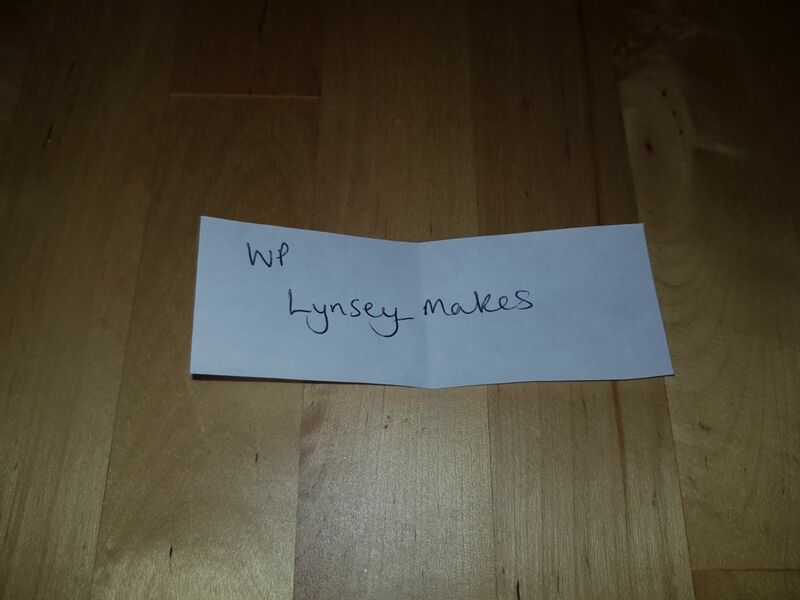 The special code is : EMMA15 and it is valid until midnight BST on Wednesday 27th September. Thanks so much Helen! Enjoy!! 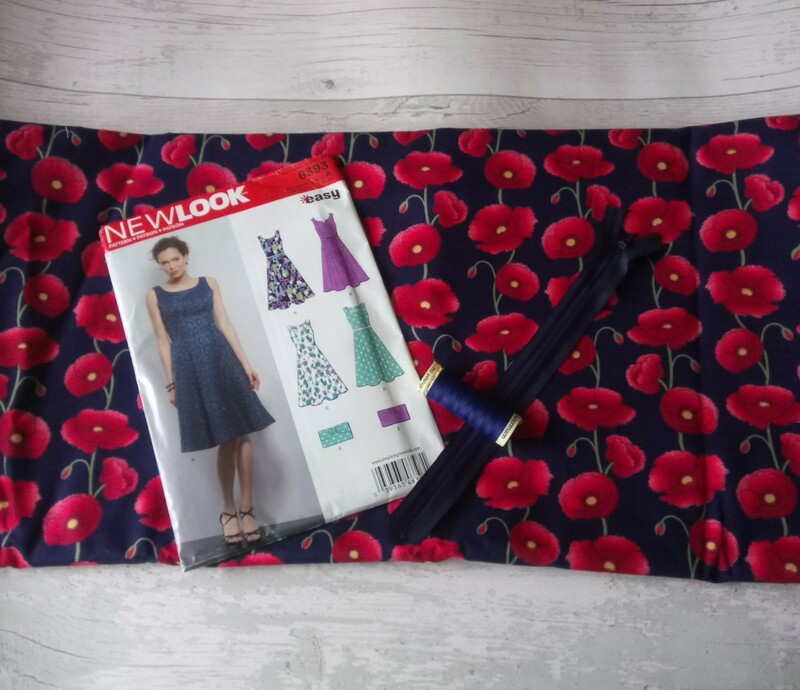 I chose a beautiful black Jersey with bright flowers from Flamingo Fabrics it’s lovely and stable, which means it was great to sew and doesn’t cling to me and it has a great deep colour. I’m so pleased with the shaping- for a jersey dress, it doesn’t cling and it skims me really well so no lumps and bumps. I’m looking forward to wearing this with tights and boots on my holiday next week!